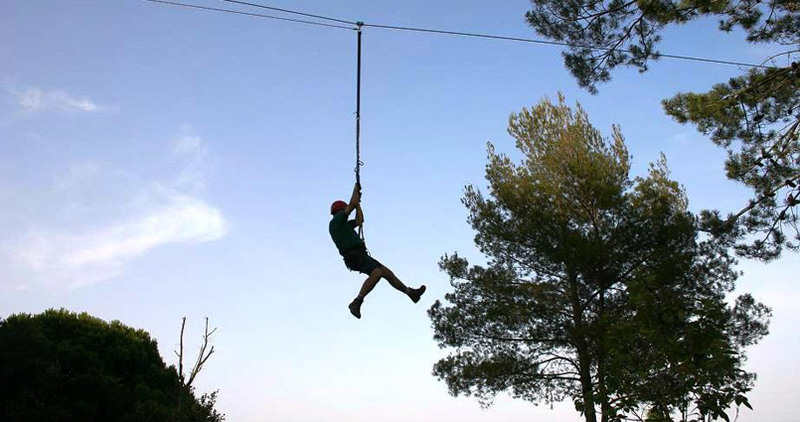 The facility consists of a high rope forest adventure course consisting of approx. 35 obstacles including rope bridges, tarzan swings and zip slides up to 40ft above the forest floor. There are 3 different runs and you have all the necessary safety equipment. Takes about 2-3 hours depending on size of group.